Pak Mei, or White Eyebrow Kung Fu, is a comprehensive classical Chinese martial art masterfully developed by modern-day founder Cheung Lai Chuen during the early part of the 20th Century. Known as an efficient and effective fighting system, Pak Mei Kung Fu is based upon integrated body methods and unified martial movements. In close range combat, these elements were essential to one's survival and continue to be the foundation of a successful self-defense structure. 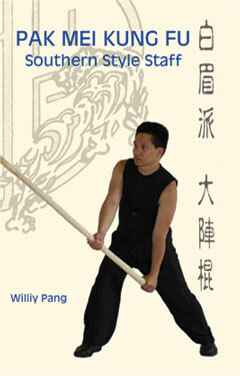 While the concepts, principles, and training methods detailed in this work are unique to Pak Mei Kung Fu, their skills and goals are common across all quality martial arts. While its reputation has primarily been built upon its unique approach toward hand-to-hand combat, Pak Mei maintains an equally impressive array of traditional Chinese weaponry within its martial repertoire. Among the fundamental armaments of China's civilian population, the staff was the most accessible and ready to use. Daai Jan Gwan, literally the Great Formation Pole, is a foundational Pak Mei weapon set designed to defend against multiple assailants. On a broader scale, this routine reveals many shared common characteristics found in traditional Southern Chinese martial arts. 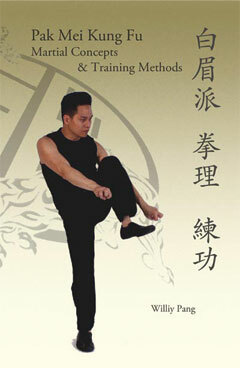 Its fundamental principles, training methods, and combative concepts exemplify the essence of nearly all traditional Southern Chinese staff methods. The origins of Pak Mei Kung Fu have typically been cloaked in a widely-held understood silence, partially due to the lack of verifiable information and partly due to a desire to defend a folkloric, romantic notion. As with many Southern Chinese martial arts, there is an oral tradition preserving the mythology, methodology, and ethics of this martial method. Conversely, an actual and unquestionable history exists pertaining to the chronicles of this system's genesis, formulation, and global migration. White Eyebrow Kung Fu, the literal translation of this combative system, was first introduced to the martial world of Guangdong Province, China during the early part of the 20th Century by Master Cheung Lai Chuen. Considered the modern-day founder of this fighting art, Cheung Lai Chuen drew upon his collective combative experiences to formulate a comprehensive system of effective and efficient fighting methods. 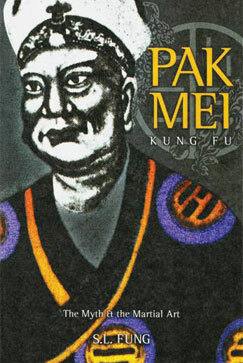 This book provides the reader with an unadulterated presentation of both sides of the same coin: the fiction and the facts that shaped the history of what is known today as Pak Mei Kung Fu.